Sports and lifestyle events are going on round the year these days. Indian Premier League, Indian Super League, Pro Hockey League, Pro Kabaddi League, then there are various global sporting events like World Cups, the Olympics which take place after a period of four years, then we have our popular lifestyle events like Lakme Fashion Week, Wills Lifestyle India Fashion Week and not to mention plethora of beauty pageants have become quite an household name these days. Almost everyone knows what these events are and they have a very strong fan following. What this brings, is an opportunity for marketers to brand their products and company, to reach their target customer base through these events and leverage the already established brand of these events to great effect. According to Nielson, Beijing Olympic was watched by 4.7 billion people all over the world. Just by looking at the number we can say the branding opportunity provided by such events is massive. With such event providing a great opportunity, corporate brand activation companies are perfectly using sporting and lifestyle events for brand activation. However this branding is not only restricted to corporates, even nations these days leverage sporting events to create a positioning for themselves, create a brand for themselves. Global sporting events like the Olympics, the FIFA World Cup are excellent example of this. Through Beijing Olympics, China showcased the discipline, their advancements in technology, and advancements in infrastructure. During ICC T20 World Cup held in Bangladesh, the country tried to brand itself through message ‘Beautiful Bangladesh’, thus portraying the country as a great holiday destination which in turn promoted tourism industry in the country. Even in India during Cricket World Cup 2011, ministry of tourism used the event to brand the country as tourist’s destination ‘Incredible India’. Even cities are taking advantage of sporting events to brand their city as city based sporting events are on the rise. In 2008 Commonwealth Youth games held in Pune, the city’s governing body tried to create ‘Brand Pune’ as one with long history and heritage. The bottom line is sporting and lifestyle events provide an opportunity for branding. How to use it depends on the marketers. Let’s look at some cases on how sports and lifestyle events provide an excellent opportunity for branding. We all know famous ‘Yes Bank Maximum’, which has irked many purists on account of too much commercialization of gentlemen’s game. So what is ‘Yes Bank Maximum’? In Indian Premier League, every six hit is called as Yes Bank Maximum, so commentators instead of saying that batsman hit a six, they called batsman hit a Yes Bank Maximum. Let’s look at this from branding opportunity for Yes Bank. Why a six hit was chosen to brand by Yes Bank? Six runs is what a batsman can earn on a legal delivery. Yes bank provided minimum 6% interest on their savings accounts, which was maximum at that time compared to other banks. Hence Yes bank used this branding opportunity in a great way to brand themselves as maximum savings interest provider. Pepsi created a VIP box on every stadium. This box was strategically placed so that spectators could see the match with a great view. However in order to get this privilege, participants had to buy any carbonated beverage by PepsiCo. And message the code behind the label to a certain telephone number. Every participant was slated to win something, however ultimate prize being watching the match from VIP box with three friends. With VIP box concept Pepsi used brand activation in an effective way. Bottom line being if you drink Pepsi you will be treated like VIP. Apart from that Pepsi being primary sponsor of the event did not fall behind in using this sporting event as branding opportunity. With strategic placement of like ‘Oh Yes Abhi!’ the company successfully positioned the product with the target audience. Pepsi perfectly exploited brand activation as a tool with IPL. Value added services or VAS are the offering by mobile service providers that need a lot of promotion. Vodafone used IPL as a perfect opportunity for activating their value added services. They did this with brand activation campaign called Vodafone super-fan. In order to be a Vodafone Super-Fan, you need to upload a picture of your cricket lucky charm on a site specifically designed for this purpose. The picture can be sent via WhatsApp to the given Vodafone number or it can be uploaded after registering with your name, email and mobile number. The Gallery section displayed the lucky charms that have been uploaded while the Winners section displayed all the past winners. With basic premise of picture upload, Vodafone ensured that people had to use their internet service. And they backed this with TV ads of their internet service packs. On top of it Vodafone Super-fan was slated to win match ball from winning captain. Underlining a thought that whoever is associated with Vodafone is a winner. Another corporate who used Indian Premier League as branding opportunity is CEAT. 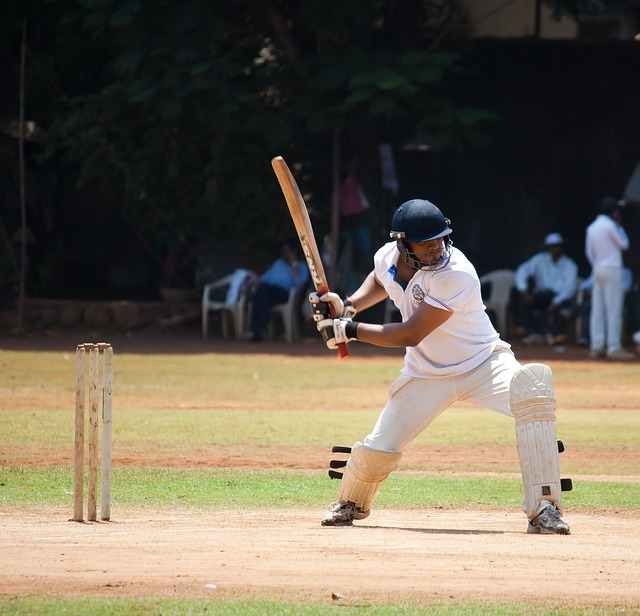 CEAT is already long associated with cricket through CEAT pace academy. In order to strengthen their association with younger audience of the game, CEAT used mid innings strategic timeouts to brand themselves. Not only these two companies but almost everything was used as a branding opportunity. Like Karbonn Kamal Catches, Vodafone’s Zoozoo campaign during the event, fair play, turning points were used. Even space is used as a branding opportunity. Usually player’s jersey sports logo of team sponsor and clothing gear sponsor. Corporates and Indian Premier League organizers saw this as a lot of space wasted. Hence new spaces were created on the jersey. Right shoulder, left shoulder, trousers, back of jersey and even helmets were used for branding by various corporates. Lakme is a trusted brand in beauty industry. So the fashion and lifestyle event they conduct popularly known as ‘Lakme Fashion Week’ is a great branding opportunity for number of companies who work in similar industry. What these companies do is they leverage the already established brand of this event to brand and position themselves. Recently concluded Lakme fashion week was sponsored by Jabong. Jabong promotes themselves as ‘a one stop shop for the country’s style conscious generation’. As Jabong is already working in fashion industry, Lakme fashion week provided them an excellent opportunity to further solidify their claim as one stop shop for style conscious generation. By making an association with India’s most prestigious fashion event, Philips is creating a strong statement towards proving what they have to say about India’s style conscious generation. Reliance Trends is also partner in Lakme Fashion Week. Reliance Trends brands themselves as India’s largest fashion destination and a specialty Apparel and Accessories retail store. And by jointly organizing this event with Lakme; Reliance Trends is making use of this perfect branding opportunity to strengthen their brand. Miss India beauty pageant is one of the most popular event followed by fashionistas in the country. What marketers see here is an opportunity to reach a vast segment of young generation. Miss India pageant 2015 was sponsored by fbb that is fashion at Big Bazaar. Fbb brands themselves as India’s fashion hub. This statement is definitely strengthened when you are sponsoring an event of stature of Miss India. Another company who were one of the sponsors was P.C. Jewellers. PCJ sponsored the jewellery and crowns at the event. Since winner and runner up will be crowned with crowns from PCJ, it gives them a brand cache that most beautiful woman in the country was crowned with our crown. There were number of other corporates who took advantage of such branding opportunities to strengthen their brand, this included Reliance digital, WeChat, Richfeel, Radisson Blu hotels and many such companies. According to reports, after London Olympics, brand value of Britain increased multi-folds, taking them ahead of Japan, in most valuable nation brand. Such mega sports events provide a nation with multitudes of branding opportunities. With the branding activities undertaken brand value of Britain jumped by 8% taking it to USD 2.4 trillion. The opening ceremony was filled with number of branding activities showcasing the great heritage that Britain has treasured. Opening Ceremony was staged by Danny Boyle, a film director of great pedigree. It was a social and historic lesson on British history, it was used as an opportunity to showcase British entertainment branding. First it was Brand Windsor, the Queen, then it was Brand Bond. Then there was a spectacle of music and dance that highlighted the cultural power and organizational ability for British theatre and staging, with an accompaniment by a British soundtrack. Apart from this, number of great authors from Britain were given a special mention, popular characters like Harry Potter made an appearance in the opening ceremony along with famous cartoon series 101 Dalmatians. Not only the ceremony contributed to branding of country, over the period of 17 days, a carefully designed campaign called ‘Visit Britain!’ this campaign created a positioning for country as sporting capitol of the world. Sports and lifestyle events are growing day by day. Since working class is very busy with their schedule these day, sports provide them a great opportunity for reducing stress. Since major chunk of such generation is hooked to either one or multiple sporting events, there is a readymade segment for marketers to target. What this provides is an excellent branding opportunity for corporates to create a position for themselves. And not only corporates but also nations and cities take advantage of these events. Same goes with lifestyle events. Fashion shows, beauty pageants are growing with each day. Back in the day fashion shows and beauty pageants were not accepted by society. However with social and cultural mind-set changing, such events are also gathering a large following. And again with a large fan following comes an opportunity for corporates to brand themselves. Marketers need to make use of such branding opportunity to great effect.